The exact names of ships may be different, but there should be the same number of frigates / destroyers / cruisers / battlecruisers etc. per spawn. They all aggro when you shoot at any one. 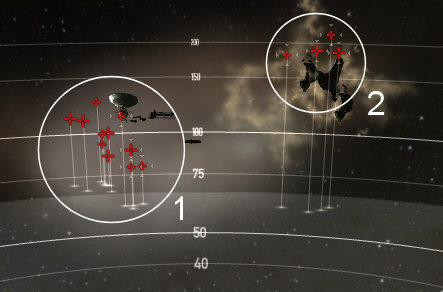 Mining causes a few frigs to spawn during the process, 3 may be the most at one time. Groups appear a few seconds apart, no initial aggro. Group 1 is the objective. Shooting at it causes full pocket aggro. The video in the following link shows you where everyone will show up, and their range. This guide also only shows one of many ways to take out the bad guys. Had Target Paint EWAR done to me by Frigates, didn't encounter any web/scram. Kept range with Arty 'Cane' so don't know for sure if there is web/scram EWAR done or not. I picked up some excellent salvage on this one, around 2.5mil worth. "(Mining causes a few frigs to spawn during the process, 3 may be the most at one time)"
FYI, when you start mining asteroids in missions, most will act as though they're regular belts, thus spawn standard belt rats. This is particularly useful in 0.0 as you can treat some missions as your own personal asteroid belt once you've completed it, as long as you don't cash the mission in, which you can chain to your heart's delight until downtime! maybe good pyro/nocxium source for minmatar people, in the 1. room. no special ship restrictions, so bigger ships can pass the first gate. but the roids are all about +25km away from warpin in. Pocket 2 now appears to have three groups. When shooting group 2, part of "group 1" aggroed. 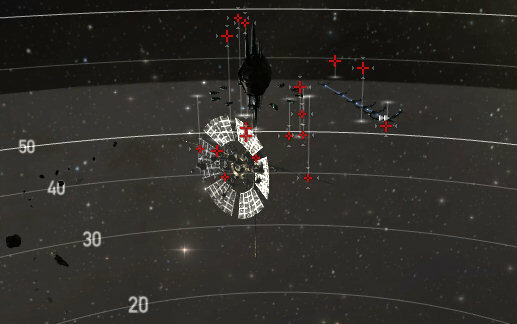 I didn't take careful note, but I think it was 3 frigates and 1 cruiser.